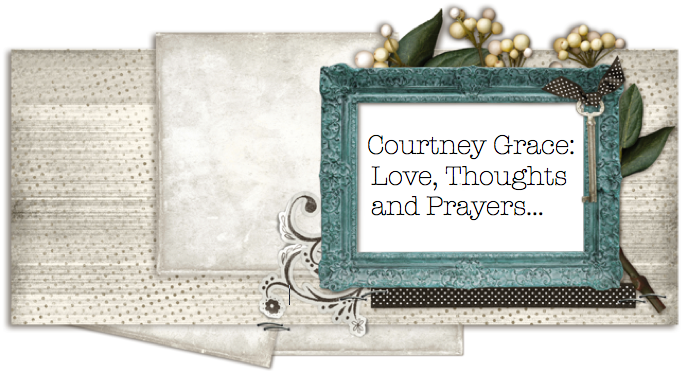 Courtney Grace...Love, Thoughts and Prayers: Blueberry Picking and "ku-plink, ku-plank, ku-plunk"
Blueberry Picking and "ku-plink, ku-plank, ku-plunk"
Blueberry picking days were always marked with a great excitement in our family. Early one August morning, every summer, we would pack up the car and make the trek to The Berry Patch. We would read the "Picking Report" and determine the perfect week to venture out and collect all the blueberries we would eat over the next year. 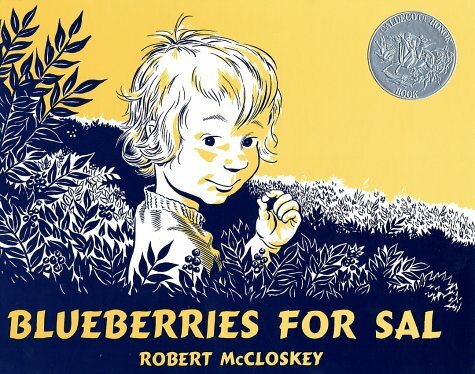 Often, sometime earlier in the week we would read one of my favorite books, "Blueberries for Sal" to get us prepared and excited for what we considered quite the adventure! When we got to the farm, we would get a pail and twine, tying the bucket around our waists for optimum two-handed blueberry picking! We would pick blueberries for hours (or what seemed like hours when you were 8). I loved pretending to be Sal from the book, listening for the "ku-plink, ku-plank, ku-plunk" of the berries, and of course sampling a berry or two out of every handful :) The trip was never complete without a trip into the farmstore for some blueberry lemonade, a fresh baked good or an old fashioned candy. In recent years, I have continued the tradition by taking the kids that I nanny to the blueberry patch, to this day, blueberry picking is still one of my favorite summer activities! My favorite way to enjoy blueberries is with my Mom's homemade granola...so I thought I would share the recipe, trust me, it will be a favorite of yours as well!! My mom makes this all the time, year round. 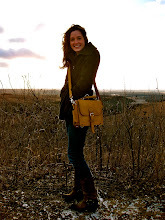 It makes a great hostess or teacher gift, it is always a hit!! Preheat oven to 225 degrees. Combine oats, coconut, and pecans in large bowl. Microwave oil, honey, and vanilla in small bowl until honey thins out, about 45 seconds to a minute. Remove from oven and spread onto waxed paper to cool. Transfer to cookie jar, baggie or other container...it won't last long sitting on the counter! Oh good! I am so glad you liked it!! Pretty yummo!